If you’re in the car manufacturing industry, Detroit is where you want to be; for airplane manufacturing, it’s Washington state; and we all know that Silicon Valley is the center of the high-tech industry, (isn’t it?). All of these places offer certain benefits to the industry that makes its home there. And startups, like any business, should remember: location, location, location. So where is the best place for startups to, well, start-up? GoodApril, a tax-planning startup based in San Francisco, compared maximum personal income tax, property tax, median tech-employee earnings, the cost of housing, and the cost of office space. Then they ranked the top seven startup cities in the US. 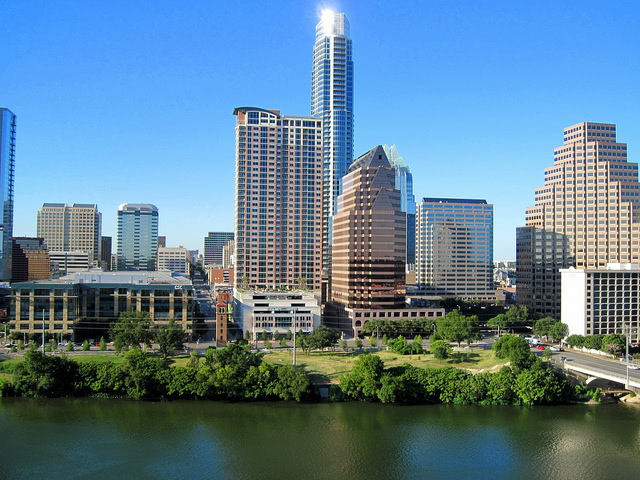 Based on these measures, Austin, Texas was #1, while San Francisco, the former mecca for startups, ranked #7 due to high taxes and other costs. (Is anyone shocked by the revelation that San Francisco is expensive?) Apparently, a major factor in how friendly a city is to startups is whether or not it has state income tax, which boosted Texas, Florida, Washington, and Nevada up the list. Check out the rest of the best startup cities (and how each city measured up in various categories) in the great infographic below.